These days with all unhealthy habits of eating junk food, taking access amount of tea or coffee and smoking; only brushing twice each day is not enough. One needs to do little more as brushing can only cleans away stained food coating from the surface of the teeth, and this is to worry a bit as food particles and dust collected in the Interdental gaps remains untouched. Teeth brushing on its own can reach around 60 per cent of denture area. And to remove those gathered food substance and plaque from the Interdental breaks flossing is the extensively used option worldwide. Yet, flossing is not the right option for all, it will hurt your gum and teeth root and it may well result into disease as well. The situation can be worse for the kids and diabetic’s patient. Specially, for kids it requires supervision while applying. Besides these all, dental floss is less effective in the cases of wider Interdental gaps and loss of teeth. It cannot swiftly remove the accumulated particles easily from the wider space. In all these cases, Tepe Interdental brushes comes as a saviour as it is easy to use and harmless in most of the situation compare to the dental floss. It also comes into different sizes to match with the size of your teeth gaps. Kids can use it without much of worries and the chances of bleeding and swallow gums is also less with this kind of brush. Various people believe brushing two times a day, gargling with mouthwash or using more fancy electric toothbrush is sufficient for better daily treatment. Nevertheless, this is not true always as in almost all of the cases food compound remains untouched. Even while brushing carefully, smaller particles of food manage to remain unclean as the bristles of the tooth brush cannot reach to the inter proximal gaps. And generally this is the gaps that create most of the problems inside your mouth. This accumulated food creates bacteria that release acids on the intake of sweet food. Such acids harm tooth root as well as the gum surface and create cavities inside the denture. It is also responsible for the most common dental disease of bad breathe. The high number of cavities may result into loss of tooth. Other problems like bleeding gums, swelling gum and teeth sensitive is also related with the condition of unclean Inter dental care gaps. Tepe Interdental cleans help to remove those allergens without difficulty. It provides much higher confidence while talking because your oral cavity and teeth are properly cleaned and breathe is fresh. TePe Interdental tooth brushes also helps visitors to keep away from costly teeth bills. Such brushes are specially designed with small and soft flexible brush bristles that may easily enter and move inside the complicated gaps of the dentition. It works without doing harm to the structure of tooth as well as the gums. Most of these brushes are reusable and last for longer period. The use of Interdental brushes is quite simpler that you need to move it laterally alongside the Interdental gaps and along the gum lines also. However, while using interdental brush, be always careful to never push it hard as it can hurt the gums and can also result into bleeding. You need to ensure you are using the right size of the comb as larger than the required size can also widen the gaps between the teeth. Consult your dentist to know which is the right size for you. 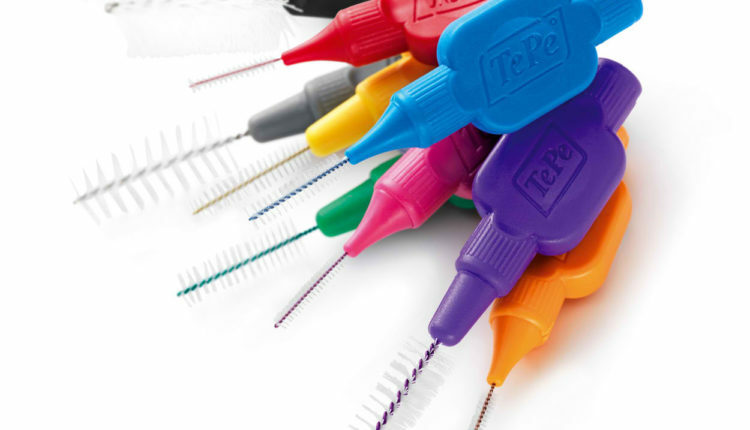 Tepe interdental brush available into different sizes starting from 0.4 mm, 0.45 mm, 0.5 mm, 0.6 mm, 0.7 mm, 0.8 mm, 1.1 mm and 1.3 mm. it is quite natural that one may requires more than one size of Tepe interdental brushes to clean different gaps between the teeth. Using such brush can give you fresh breath and healthy teeth with problem free oral condition for a longer period of time. 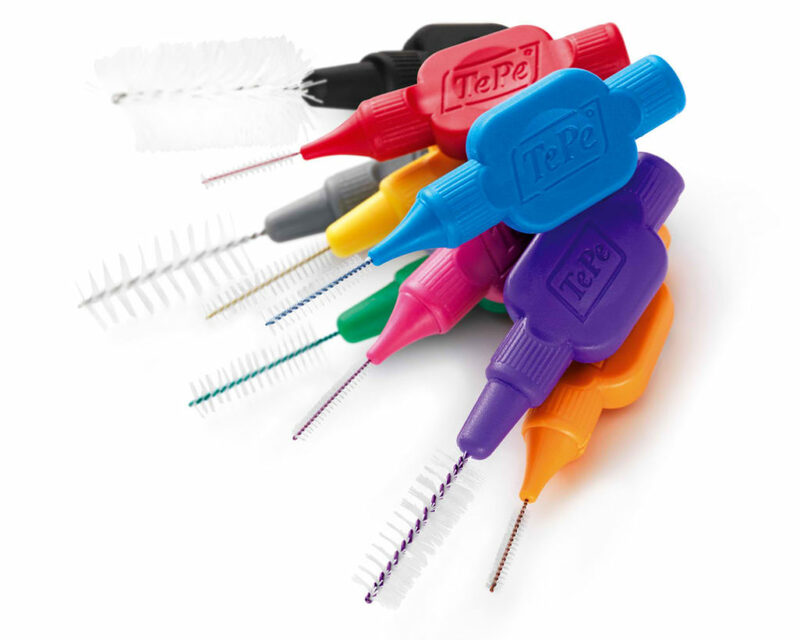 Tepe Interdental are becoming one of the trendiest options to clean the teeth and attention for the dental health. As opposed with other tooth brushes, Tepe tooth brushes are little more than simply a fancy tool, it actually works well to give quality of cleaning. And the positive relating to this dental is that it will not harm your tooth or gums the same as floss your teeth.